6/12 Months - $64.99 12/18 Months - $64.99 18 Months/2T - $64.99 Medium (7-8) - $64.99 Only 4 left! Large (9-10) - $64.99 Only 2 left! 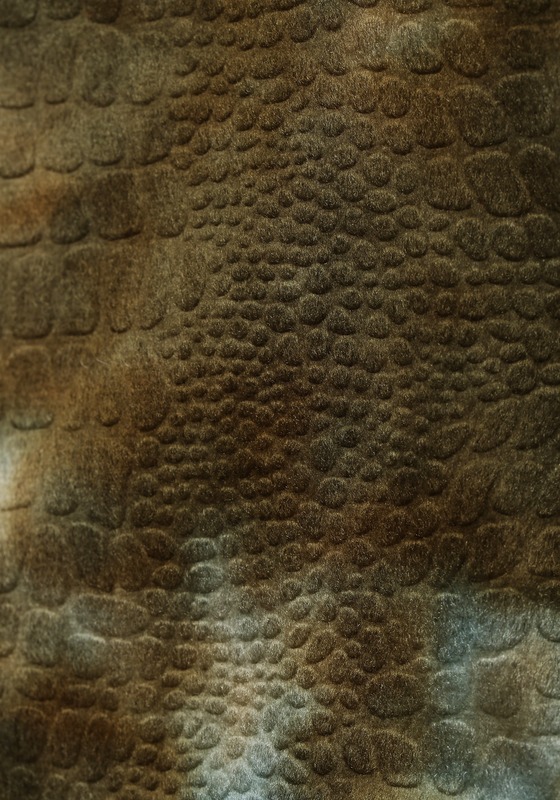 Everyone has a favorite dinosaur, but there are so many different kinds that it can be hard to pick just one! 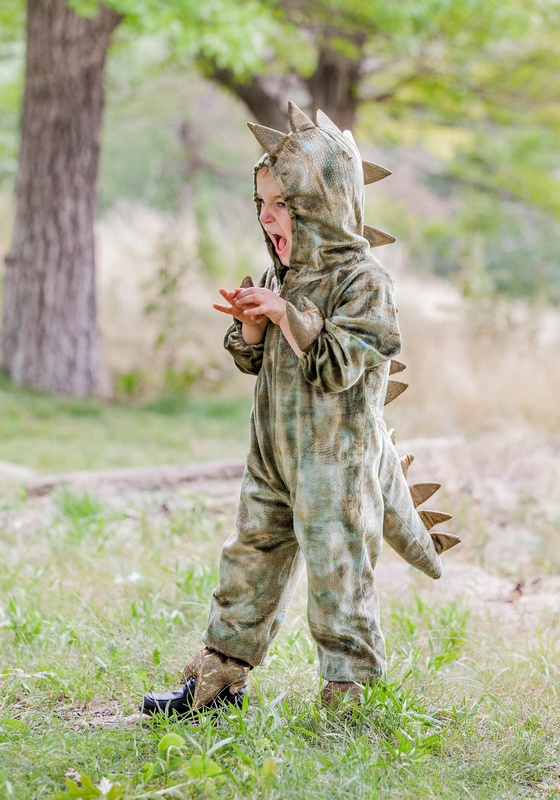 Whether it's the mighty tyrannosaurus rex, the enormous brachiosaurus, or the horned Triceratops, there is a type of dinosaur for every occasion. 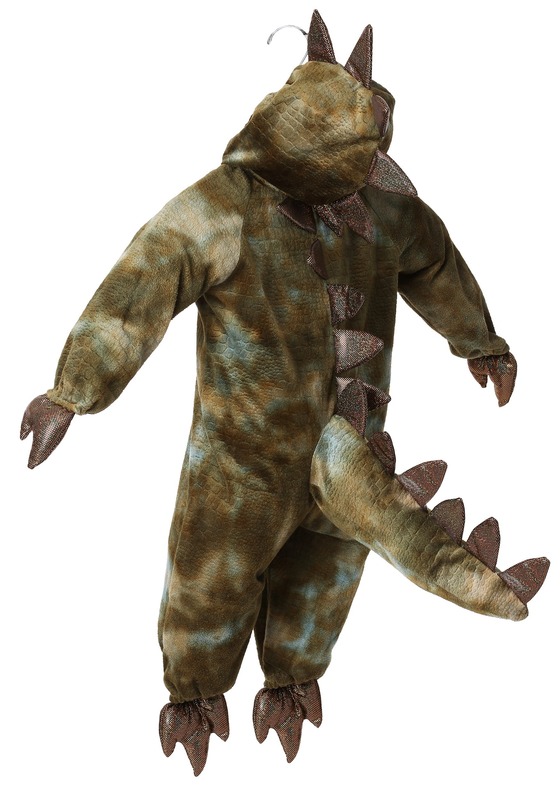 Did you also know that dinosaurs were quite cute and cuddly? They are always pictured as big and loud, and usually pretty scary. The thing is, outside of books and movies, they were pretty adorable. Just think about it. Those big green eyes with golden green scales peeking out from a dirt nest, crying out for its mom. Okay, our scientists may still be working on proving that particular image. 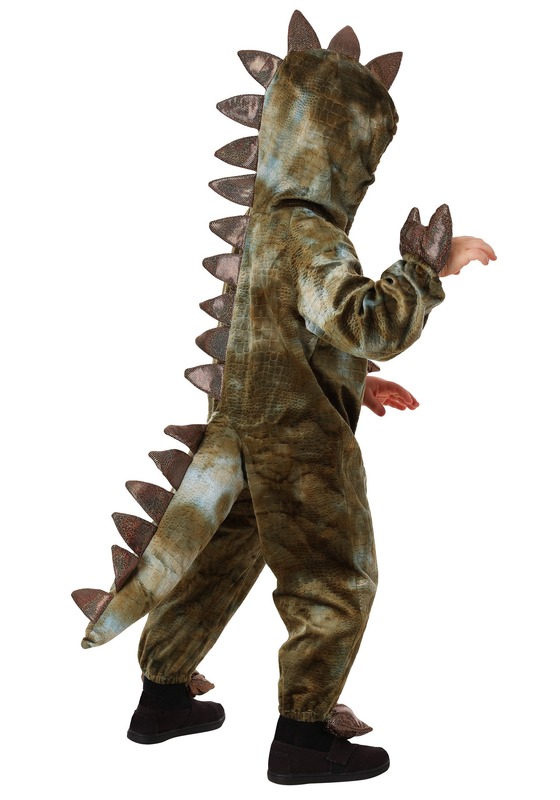 But kiddo knows that dinosaurs can't be all about teeth and claws, right? 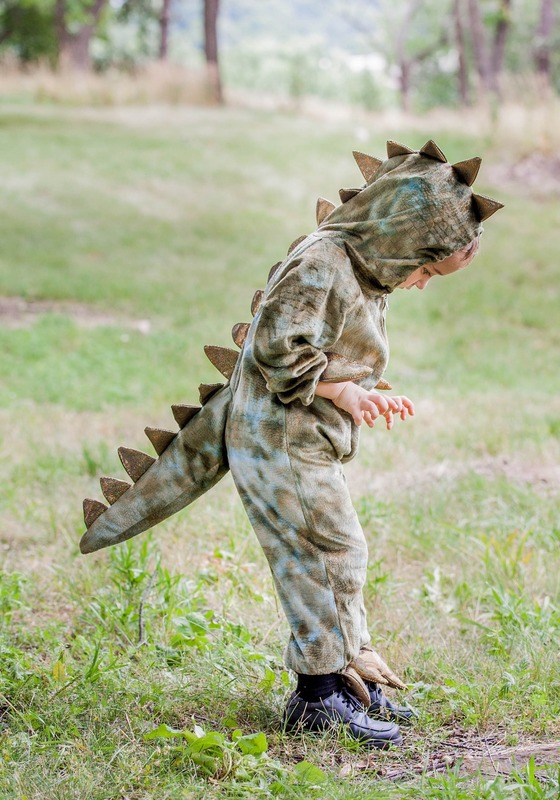 As a one-piece suit, this costume zips up in the front for easy on and off and there are little dino-paws attached to the wrists and ankles.The hood, back, and tail all have shiny gold spikes that give it added detail that any child will love. 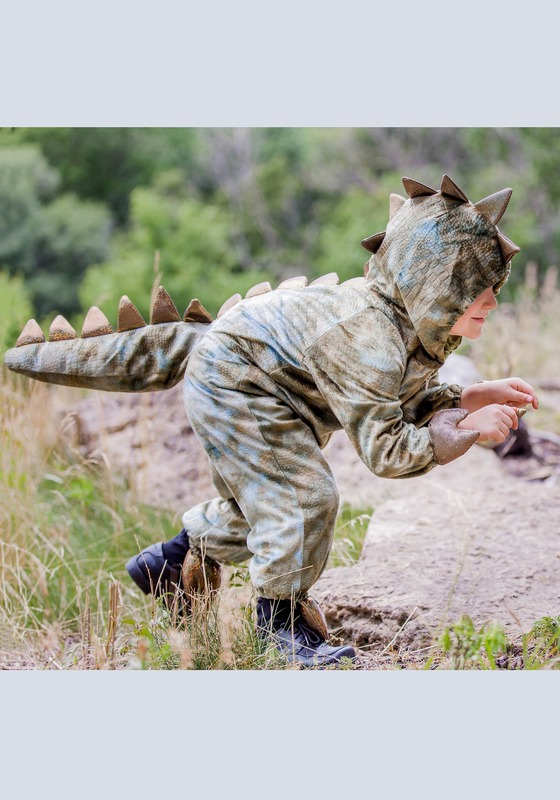 Your child has lots of time to decide what their favorite dinosaur is, and this costume will give them a chance to spend a little time as one. 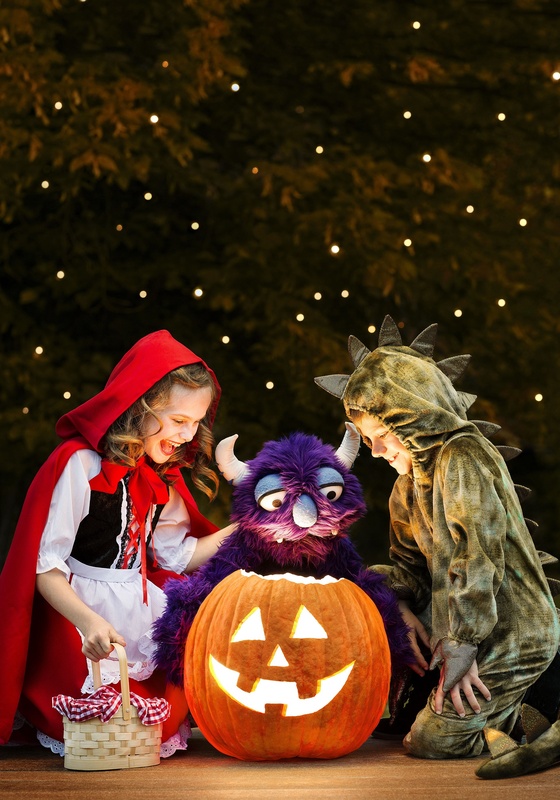 It will also give them a plenty of chances to practice their scary roar! 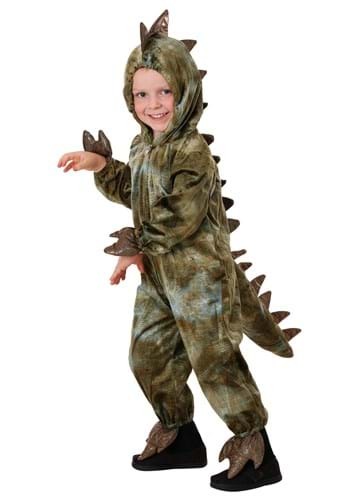 Your kid can have a blast with prehistoric play in this Kids Dinosaur Costume, no matter what they decide their favorite is! 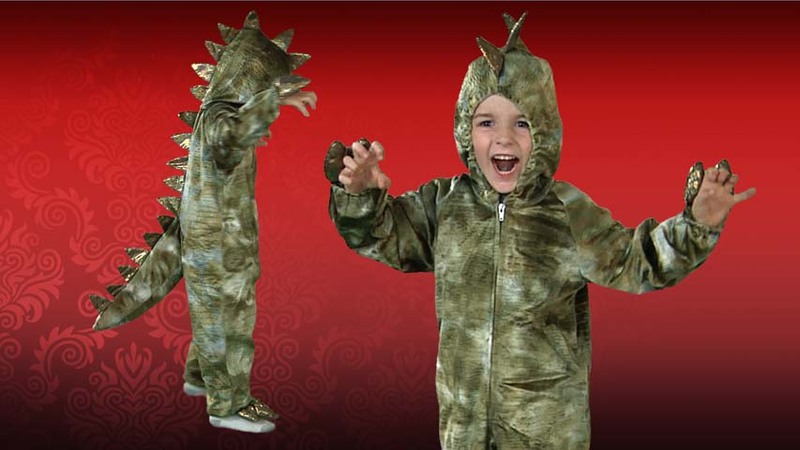 They can pretend to be scary, stalking around in the trees, looking for other dinosaurs to chase. 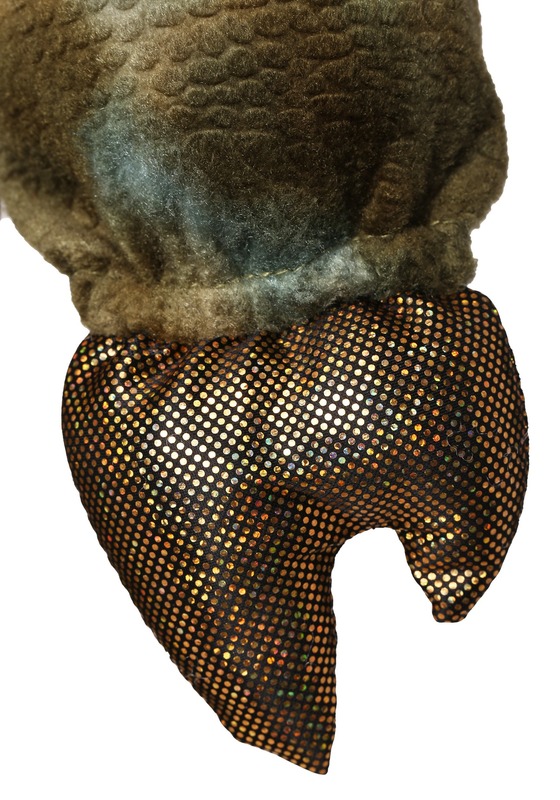 They can roar and growl as they sway back and forth with the big spikes on their back! 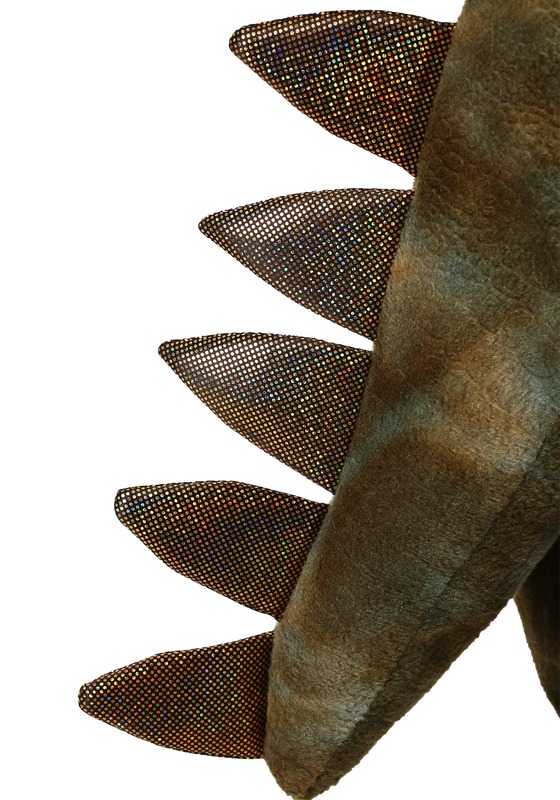 As much as they might try to be scary and growl, we adults happen to find those soft, sparkly spikes pretty adorable. Let's all agree to not tell the darling dinosaur, though!